If we agree that weeds can be famous while simultaneously being infamous, a list of famous weeds must include burdock. Its fame largely comes from being an inspiration for the hook-and-loop fastener, Velcro. The idea for this revolutionary product came when Swiss inventor, George de Mestral, was removing burs – the dried inflorescences of burdock – from his dog in the early 1940’s. Most of us have experienced this, pulling out burs from animal hair or our own clothing, but few have felt inspired to develop a new product. Infamy reigns supreme. But burdock’s fame isn’t tied to Velcro. Its tenacious, sticky burs, which house the seeds, have been attaching themselves to humans and other animals for centuries, frustrating those who have to remove them but finding new places to grow in the process. And what better way to pay tribute to this phenomenon than to dress oneself in hundreds of burs and parade around town calling yourself the Burry Man? Lest you think I’m crazy, just such a thing has been part of an annual celebration for over 300 years in a town outside of Edinburgh, Scotland. 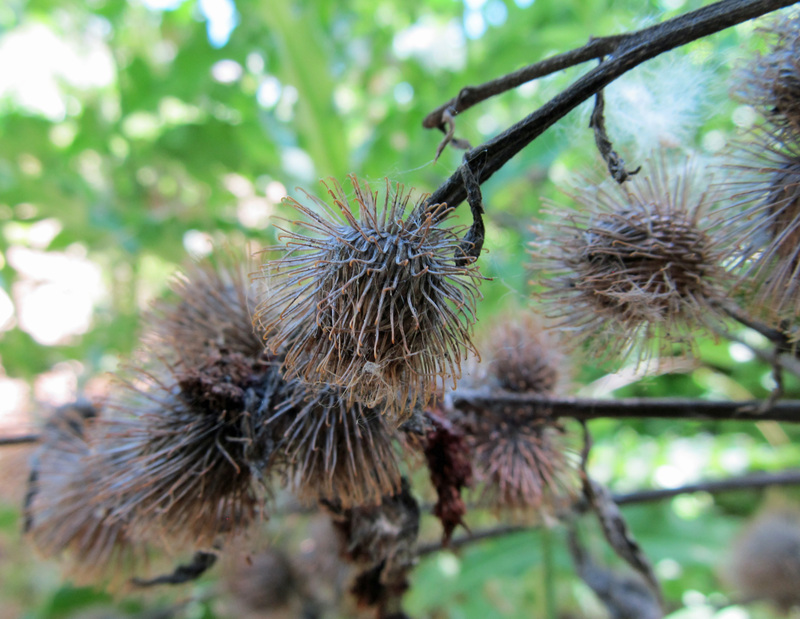 Of course, burdock is more than its burs. 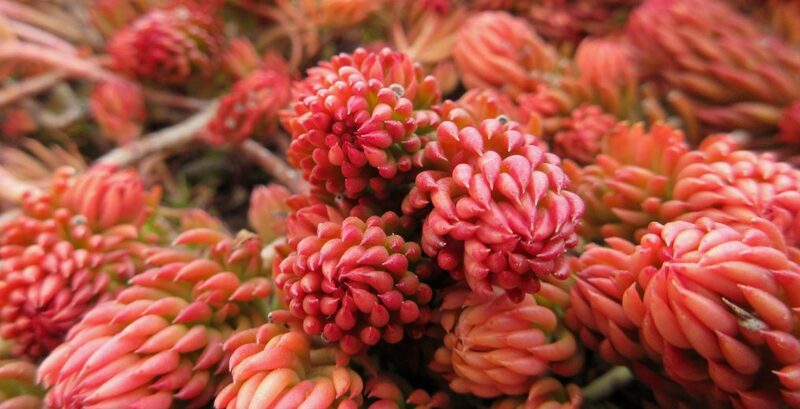 Other, perhaps less celebrated features, are its edible roots and shoots. Its leaves are also edible, but most people find them too bitter to bother. Green Deane suggests wrapping the leaves around food to cook on a campfire. Both the roots and shoots can be eaten raw or cooked, and the fermented roots along with dandelion roots are traditional ingredients in the British beverage, dandelion and burdock. The roots, shoots, and leaves of burdock have also had a wide variety of medicinal uses. Two species of burdock have become naturalized in North America – Arctium minus and Arctium lappa. Both species are biennials or short-lived perennials. They start out as rosettes of large leaves with woolly undersides. The leaves grow to a foot or more long and wide. At this stage burdock is similar in appearance to rhubarb. 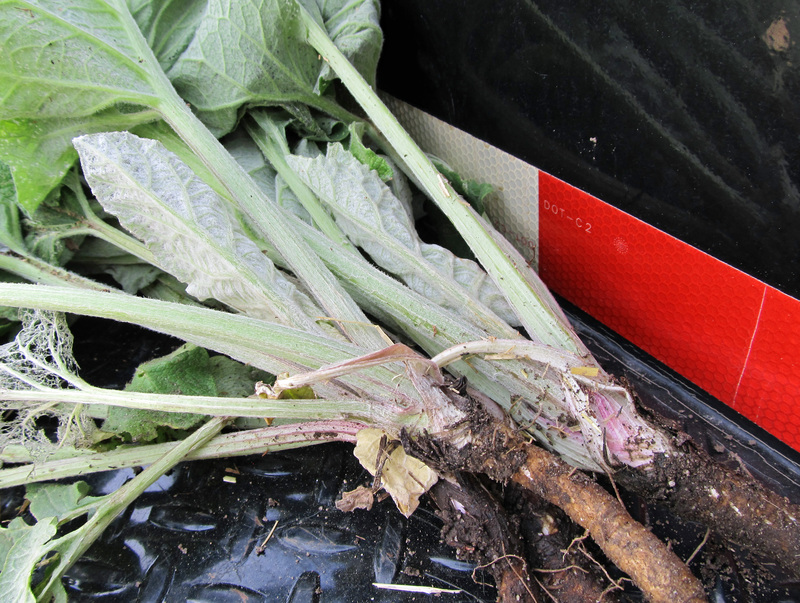 Burdock has a large taproot, which can extend down to three feet in the ground. The taproot continues to grow as the rosette expands. When the plant has reached a certain size it begins to put up a branching flower stalk. It is in the rosette stage, before the plant bolts, that the taproot should be harvested. As the flower stalk grows, the plant takes on a pyramidal shape, with the leaves along the stalk getting increasingly smaller with height. The plant can reach several feet tall, with one source describing them as towering up to ten feet. The stalks should be harvested before the plants start flowering. Multiple flower heads are produced at the ends of the branching stalk. The inflorescences are composed of purple, tubular, disc florets that are encased and encircled in a series of hooked bracts. The flower heads resemble thistle flowers, but the plant is easy to distinguish from thistles due to its large, soft leaves. Speaking of the leaves, one photographer found them alluring enough to compile a series of photos of them. 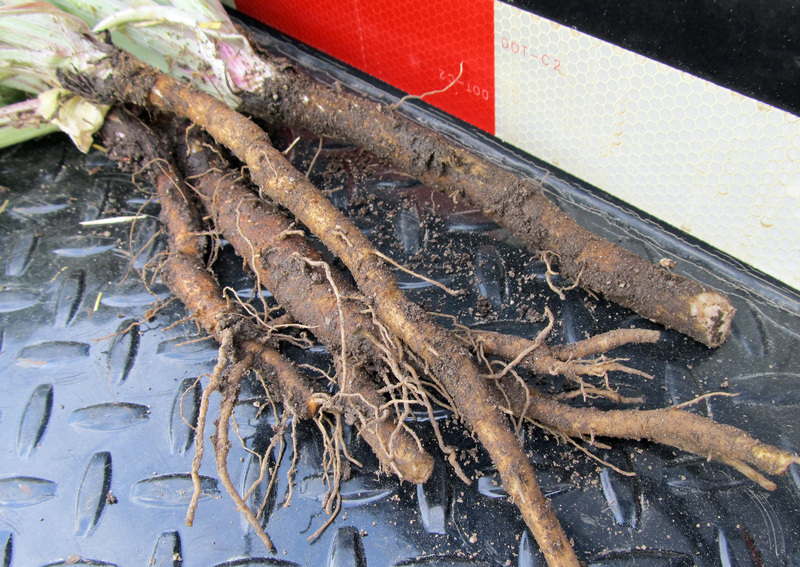 I harvested my burdock roots along an unmaintained fence line surrounding a series of raised flower beds. I chose a simple recipe for making burdock chips that involved peeling the roots, cutting them into thin slices, dressing them with olive oil and salt, and baking them in the oven. Since the author of this recipe mentioned buying burdock from a store, they were probably using Arctium lappa, or greater burdock, which is commonly cultivated, especially in Asian countries. Both species can be prepared in similar ways. The burdock chips had a pleasant nutty flavor, but they were also a little stringy and tough to chew. If I were to do it again, I would probably use a recipe like this one that involves parboiling and then frying. Sierra suggested grating the roots and frying them in bacon grease, which would probably do the trick. There are also recipes for pickled burdock roots, which would be fun to try. Because the plants I harvested were still in their rosette stage and there weren’t any other plants in the area that were bolting, I didn’t try the shoots. But I’ll keep my eye out, and when I find some I may have to write a part two.